The good folks over at Versified Life have not have much time to rest. This year alone they have: re-branded, celebrated the launch of their site and produced a web series. Not to mention, they have been heavily involved in gearing up for the UK General Election which took place on May 7. Luckily, we were able to talk to founder and poet, Anthony Lyrics, about the incredible work VL is doing for both spoken word and the community-at-large. Check it out! Can you discuss the birth of Versified Life? How long did the entire process take—from idea inception to production? Well, Versified Life originally started in the summer of 2014 after I came up with the idea of creating a spoken word brand focused on social issues. The initial plan was to create a web series that would feature leading spoken word artists talking about social topics on a monthly basis. At the time, the team consisted of a videographer, a presenter and me. However, after filming the first series and launching in January 2015, things quickly turned sour and the team broke up (mainly due to a poor working relationship with the videographer). I was then left with the choice of discontinuing Versified Life or regrouping, re-branding and re-launching the brand. After talking to a few close friends, I decided to do the latter and began analyzing what went wrong the first time, and what needed to be done this time to make Versified Life a success. This was around February. The first thing I wanted to do was create a real brand. 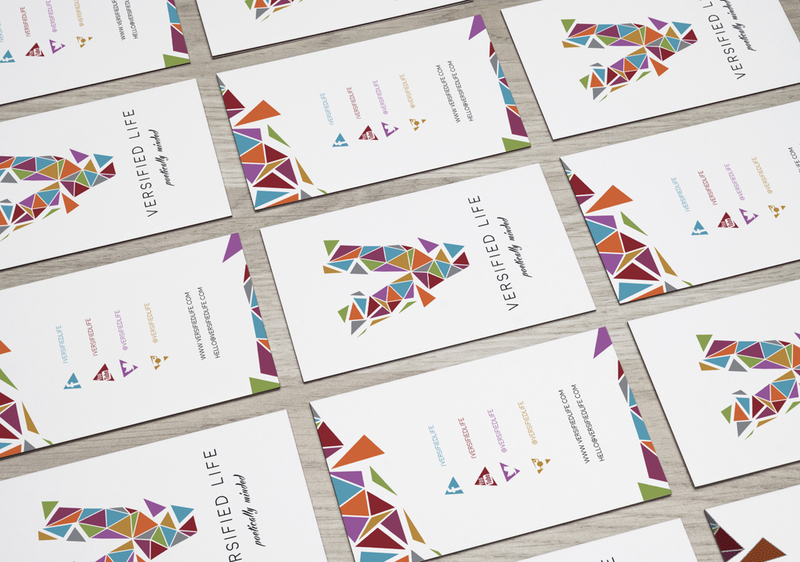 Rather than just the name, I wanted Versified Life to have a recognizable logo, color scheme, strapline and ethos; all of this would help Versified Life stand out from the crowd and catch people’s attention. The new logo is a colourful V by @HashiArtworks. Each color represents the different cultures, creeds and individuals that form society. Through our platform, they are able to come together and express their creative passion and voice. Our new strapline is ‘Poetically Minded’ which refers to our goal of capturing society through the art of poetry. The next thing I did was form a strategic business plan that involved the brand being more than just a web series. This time around, I wanted Versified Life to be a digital business consisting of multiple YouTube series, a website with engaging articles and campaign video and a video production arm. The last piece of the puzzle was recruiting a new team of talented, dedicated and like-minded individuals – @Sianaarrgh the presenter/in-house spoken word artist, @visionnaryTJ the videographer and @TeeWordSmith and @Justbeinspired_ – the two current affair bloggers. So all in all, I’d say the entire process has been 9 months in the making; from inception to today. We’re looking to release our brand new series #InVerse and #Conversing at the end of May/ start of June. Both series will run simultaneously for our fans, followers and subscribers to watch and enjoy. What was the most challenging aspect of organizing the series and launching the new website? The most challenging aspect is creating content that people will enjoy. As a creative (whether it’s a spoken word artist, poet, musician, painter etc.) you work hard to create work that you enjoy and love, however you can never predict people’s reaction to it. You always hope people will love your content as much as you do, but there’s no crystal ball to look into the future and see if they do. That’s why it is so rewarding—after working so hard to perfect content—to hear people talking and sharing positive comments about the work you’ve done. It’s clear from your website content and videos that you put a lot of thought into every component. What is the thought process behind it? Our series and campaign videos are all about driving social change through spoken word poetry. Therefore, each segment is tailored to be as creative as possible so that we’re able to discuss important (and sometimes hard hitting) issues in an engaging way. We never want to bore people or regurgitate information; rather we want to entertain viewers and get them to think/talk about key topics that affect society. Through all of your work thus far, has there been any one particular moment that stood out to you? The best moment so far was when we clicked on the #StateOfTheYouth video and were shocked to [find] a lengthy comment by Benjamin Zephaniah – a critically acclaimed and widely respected and celebrated UK poet. For a high profile poet like Benjamin Zephaniah to watch our video, let alone take the time out to write a detailed comment was/is a massive encouragement for the team. It let us know that we’re producing good content. 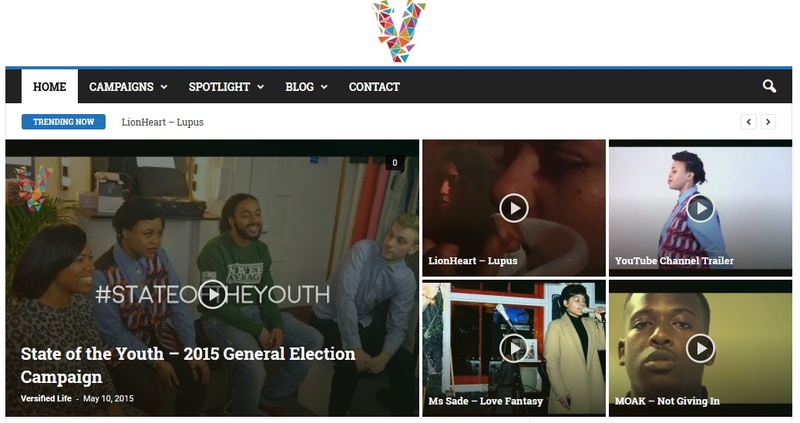 You launched a #StateoftheYouth campaign to encourage the youth to vote in the UK General Election which just passed. In general, do you feel a sense of urgency among young people to get involved? This generation is one of the most disadvantaged and worst effected (largely due to high university fees, zero-hour work contracts, limited graduate jobs and difficulties in getting on the property ladder). So I think this time around, more young people [had] the urgency to vote. The only way for young people to stop a government from releasing policies that marginalize them is for more 18-24 year-olds (the age group statistically unlikely to vote according to previous election years) to cast their vote and make their voices heard. Similarly, the scars from 2010 are still rife: when certain parties promised wonderful things for young people but largely [undelivered]. So young people in 2015 will be aware of false promises and will, this time, take matters into their own hands. When did you decide to go forth with the #StateoftheYouth campaign and how did you choose the featured poets? The #StateOfTheYouth campaign came about through a meeting between our PR agency Blackpepper PR and I. During a PR/Marketing meeting, Blackpepper PR suggested that it would be a good idea to officially re-launch the brand with a campaign video about the upcoming UK general election. The video would feed into the trending election topic; giving us a good base to reconnect with existing fans, followers and subscribers and introduce us to new ones. After the meeting, I fed the idea back to the team. [We] were excited, so we pressed ahead and started planning. For the video itself, we wanted to make it representative and diverse like UK voters so alongside our presenter and in-house spoken word artist @Sianaarrgh, we invited @MoRhymesDaPoet, @Miss_JannaLeah @JayOPoet. As you can see when you watch the video, all of the poets are passionate, talented and outspoken. This is a major factor in the video’s success and why people have [watched] #StateOfTheYouth. Not only does it show that young people do care about politics, the video also shows now naturally spoken word can be used to discuss major issues. What was your involvement with the poetry/spoken word scene before Versified Life? For those of us in the US, can you describe the UK spoken word scene? The UK spoken word scene is really thriving right now with loads of diverse and amazing artists and events. 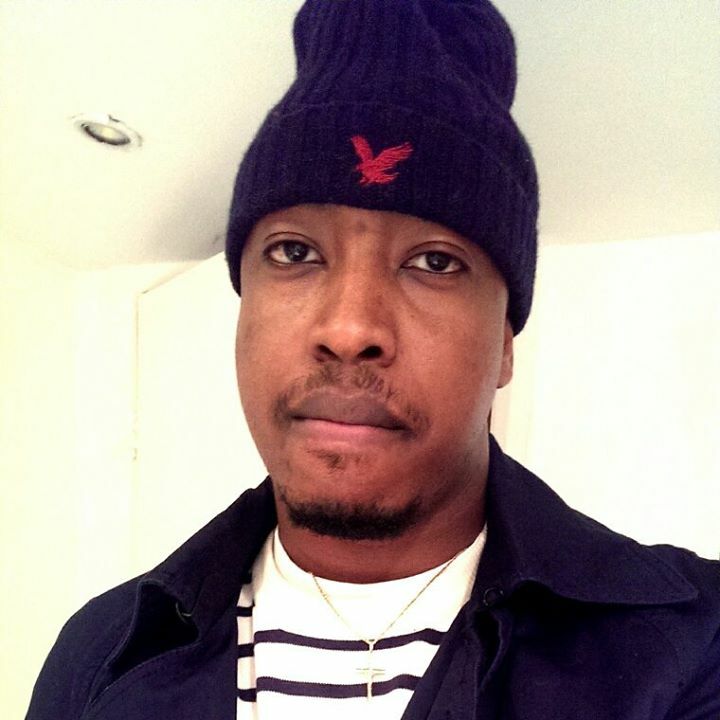 People like George the Poet, Nego True, Suli Breaks and a few others are breaking into the mainstream and bringing a lot of attention to the scene. Likewise, major news outlets like The Guardian and Channel 4 have embraced spoken word and broadcast poetry related content now and again. What makes Versified Life a vital component to both the spoken word community and community­ at ­large? That’s a tough question. We’d probably say our commitment to driving social change through spoken word. We really feel spoken word is the best medium for discussing social issues, so we’re focused on creating the best content possible to highlight important topics that people should be aware of and discuss. Through insightful conversation, detailed interviews and poetic performances, we will provide opportunities for poetry lovers to share their creative passion and get their voice heard. In the next 10 years, what would you like to see happen in the poetry world? Poetry is so much more than a hobby or a passing thing people do in their spare time. Poetry has the power to unlock immense creativity inside people and allow them to powerfully express issues that are important to them. Our hope is that in the next 10 years, poetry will become a viable career choice; a career that is both financially and creatively stable for individuals to pursue. Much like being a Musician or a Dancer or a Painter, we want people to want to become a Poet. To have a sense of pride knowing that a poetry career will A) fulfill their dreams B) allow them to make a creative impact on the world (much like the other creative careers) and C) give them a good income to excel on. Next Post (Video) Siaara Freeman | Do You Remember the First Time You Called Me Ugly?